Meet our team of driving instructors! 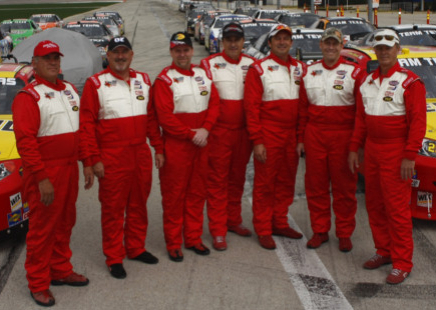 Each has hundreds of laps and years of experience behind the wheel of our race cars. Everyone that purchases a driving experience will have one of these fine gentlemen ride shotgun with them for a hands-on approach to making the customer a better racecar driver. Their mission is to keep you on the track while giving you aid with steering, throttle control, and in some cases even shifting if need be. Each of them wants their student to be the fastest out on the track and the first to make it back to pit road safely.